Mrs. Lillian Irene M. Adams age 96 of Dalton, passed away Saturday, January 12, 2019 at her residence. 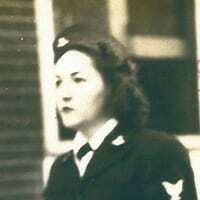 Lillian was a veteran, having served in the US Navy during WWII. She was preceded in death by her parents, Horace Rittenhouse & Laura Lee Emma Young Rittenhouse; her husband, Frank Callaway Adams; and several brothers, sisters, brothers-in-law and sisters-in-law. Survivors include daughter, Adrienne L. Mosier of Dalton; son and daughter-in-law, Foster (Chunky) Adams & Jane Williams of Dalton; special family friend, Joyce L. Miller of Dalton; nieces and nephews also survive. Mrs. Adams wishes were to be cremated.